‘A Battle Of Wits’ is that rare work that is exciting, tense and yet is an introspective on the violence, war and conformity. Director Lee Jeong-hyang manages to generate enough of an ambience to make ‘Art Museum By The Zoo’ a more than pleasant diversion. This is a sharply original love story set to incredible moving pictures. It has beautiful actors, heartfelt emotion and a genuine sense of originality. 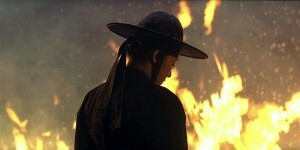 Though historical events tend to be notoriously difficult to translate to the screen and despite needless contrivances, ‘May 18’ is an unforgettable two hours that deserves many of the plaudits it has received. ‘My New Partner’ is a glossy and sharply packaged Korean production, but its attempts at emotional resonance are not entirely successful. It may be familiar material and it may be a two-man show, but ‘Radio Star’ delivers its quota of entertainment, humour and even poignancy with some to spare. 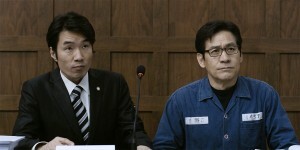 ‘Unbowed’ allows the suspense and fascination connected to the case to grow organically, helped immeasurably by the outstanding performances of Ahn Sung-Ki and Park Won-Sang.